Surround yourself in spacious loft-like living, an oversized chef’s kitchen, abundant storage, and modern finishes at 303 Mercer Street, a unique 4 bedroom, 2.5 bathroom triplex home with a private garden located in the heart of Greenwich Village. Enter through a gracious foyer and you’ll immediately be taken by the home’s tremendous great room with soaring ceiling heights (almost 13 feet), oversized windows, hardwood floors, floating steel architectural staircase, and spacious separate living and dining areas. Set over approximately 2,300 square feet, you’ll notice recessed lighting, tasteful built-ins and a banquette while intelligent design makes the most of the apartments south and eastern exposure, allowing plenty of natural light to flood throughout the home. A separate bedroom wing is afforded downstairs on the lower level with three bedrooms including a large corner bedroom with an oversized walk-in-closet currently used as the master. These bedrooms access a renovated 5-piece marble bathroom that includes both a soaking tub and steam shower. At the end of the bedroom corridor is a rare and large storage room that is also home to a full-size vented washer/dryer and a wash basin. Ascend the floating staircase towards the master suite, and you’ll pass a mezzanine area with custom fitted home office and study nook. Once you reach the top floor, you’ll find a large master suite with a private four-piece marble lined bathroom, two large closets and oversized east and south facing windows that let in warm light throughout the day. If that’s not enough, the home is replete with a private 375 square foot garden for all your summer lounging and entertaining needs. Also available: an assignable monthly 24 hour self-park space at a below market rate of $375/mo that is only available with the sale of this home. The open chef’s kitchen boasts abundant Caesarstone countertops, double cabinetry with a rolling library ladder for additional convenience and access, and a complete suite of Viking Range stainless steel appliances including oven, refrigerator, and Miele dishwasher. The kitchen also has a central island with a large industrial grade sink that doubles as a breakfast bar and great entertaining space for the chef enthusiasts. A pantry located underneath the stairs both maximizes the home’s space and helps to complete the deluxe kitchen. Flanked by two large south-west facing windows and positioned across from the open plan kitchen, meals are have never been more convenient. Double height storage, laundry room, under stair pantry, and custom built-ins. Viking professional range kitchen appliances, energy star appliances, marble kitchen counter. Full-size venting washer dryer & wash basin. 2.5 baths, two with double sinks and radiant heat flooring. 375 sq ft outdoor garden space with outdoor seating. Almost 13 foot ceiling heights in living room. Mezzanine with custom fitted home office. Floating architectural steel staircase, decorative moldings, hardwood floors, recessed lighting. Assignable 24 hour car space. Built circa 1910 and converted to a cooperative ownership in 1979, Snug Harbor at 303 Mercer consists of three turn-of-the-century industrial buildings fashioned into 3 distinctive loft homes with a communal garden at their intersection. Centrally located in the heart of the Village, the neighborhood is brimming with magnificent restaurants, specialized retail, nightlife and cultural destinations, making it one of the most sought-after residential enclaves in the world. Access to transportation is unbeatable with N/R, 6, A/C/E and B/D/F/M trains all nearby. Full-time Doorman and live-in Super, central laundry, common storage, common courtyard, cats & dogs allowed. 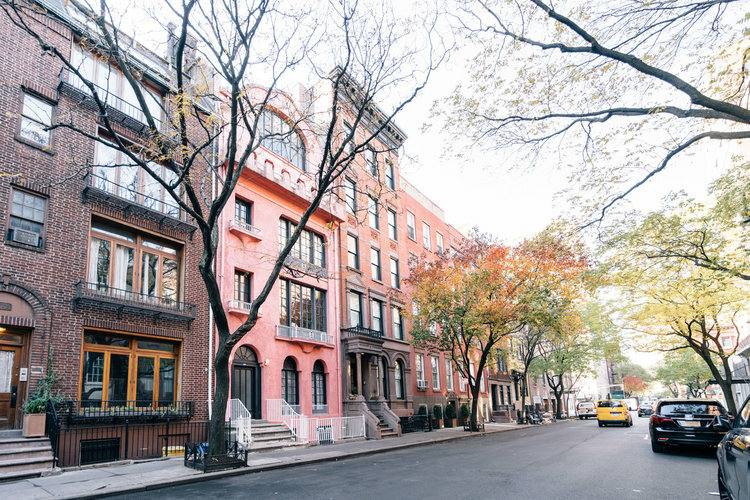 Becoming a resident of Greenwich Village is like becoming a part of history. From Henry James to the contemporary TV and film stars who live there now, this is a neighborhood whose bohemianism has attracted artists for a hundred years or more. You can explore more of Greenwich Village here. As you'd expect from one of the most historic neighborhoods in Manhattan, there are plenty of sights to take in. 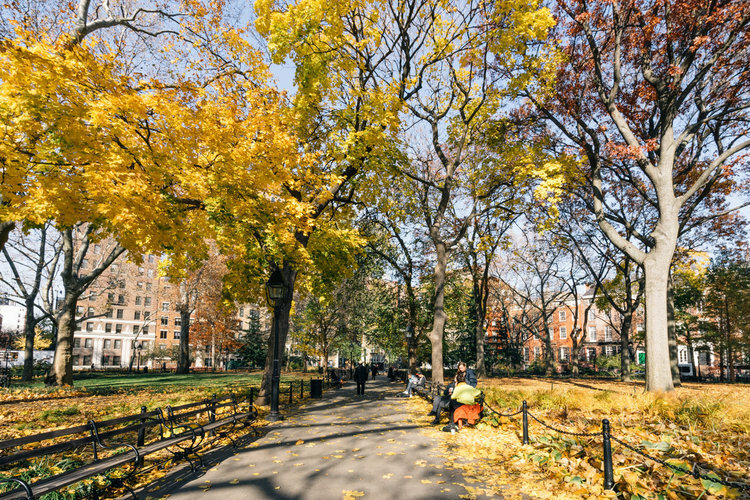 Washington Square Park is one of the most iconic parks in America, best known for its famous arch. With dog runs for your pooch and a variety of street entertainers for you, this is a great place just to sit and people watch. Thank you! One of our team members will be in touch with you shortly to confirm your booking!